I am in the unfortunate position of having to reconsider my continued support of your company through the purchase of MILO. Let me explain why. 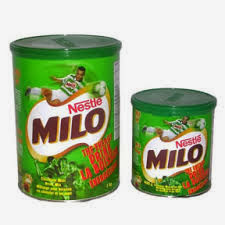 You promote MILO as the “drink of play”, my personal experiences lead me to believe that it is in reality the “drink of death”. My personal preference is all milk. I heat the milk in a microwave and then add a heaped dessert spoon of MILO into the hot milk and stir it until dissolved. In my last workplace I was preparing a hot MILO as per my preferred method. I had the tin and spoon waiting ready for the milk to heat up. I opened up the microwave to retrieve the now suitably heated milk to discover that it was the mug and not the milk that had been heated. The subsequent burns to my fingers, although superficial, required medical treatment, and I could not fully extend my index finger for a week. The heat caused me to drop the mug spilling, what turned out to be still relatively cold milk all over the kitchen floor. I was grateful for the presence of one of the administrative staff who walked into the kitchen at the same moment I was burned to prepare her own hot drink. She not only attended to my injuries but also cleaned up the mess. This also was the start of one of my closest friendships, for which I should be thankful. But Nestle, I ask you, at what cost? Like customs firing over the bow of a suspected drug runners boat, this burn was merely a warning shot. In my new and current workplace, I was initially pleased to discover your fine choc-malt powder was supplied to staff. That was until Monday of this week when I again prepared a workplace beverage. Having not heeded the earlier warning this time MILO conducted a full assault, almost ending my life! I was innocently drinking my freshly made MILO as per my preferred method as described earlier when I choked. I had a mouthful of MILO and was in the act of swallowing when I inadvertently coughed at the same time. The result was a lot of cough and spluttering and gurgling as my body’s reflexing kicked in ejecting the MILO drink before it drowned me. If I was not the unwitting victim in the seemingly unprovoked attack I might have objectively argued that drowning in a perfect hot MILO was a pretty good way to go. Different office, different mug, different milk, different microwave. The only constant in these two assassination attempts in the Neslte branded energy food drink, MILO. My question is this, Nestle. Why are you trying to kill me? I just wanna be made of milo. I have not criticized you for your support of Robert Mugabe’s regime of reclaiming farms, nor have I commented on your demands of the Ethiopian government during its countries crippling drought. I have not protested against you use of palm oil or you earlier stances on breast feeding. Whilst the rest of the world had a field day of your use on horse meat in products labelled as beef, I kept my silence. I may have provided some light-hearted commentary on your acquisition of Jenny Craig, but surely I have done nothing to warrant such personal and dangerous attacks upon my person. I do not understand your reasoning. Maybe you are just indiscriminately wielding your power as the world’s most profitable corporation. Does your ability to willingly harm and destroy loyal customers send a message to individuals and organisations that might really harm your reputation and bottom line? What ever is happening for you I respectfully request that you cease and desist your attacks you your person. Please allow me to enjoy the malty milk goodness rich in vitamin B and calcium with Low GI. I just want to play.